The Greensboro film project, “In Saturn’s Rings” by Stephen van Vuuren, has a trajectory for cyberspace and it is about to be kick started into orbit. The major inspiration for this not-for-profit film, derives from the spectacular photographs sent back to Earth in 2004 from the Cassini-Huygens space probe. Images will also be used from the Hubble, Apollo, and Voyager missions. Vuuren is utilizing photo-animatic techniques to put 1.2 million of these photos to motion, in order to simulate a journey through space. “I think this project is more than just about In Saturn’s Rings. I think it is about the fact that you don’t have to go somewhere else to be able to put together a project. It can be accomplished locally using the people and resources that are entirely here, and then it can be distributed and shared with the world,” said van Vuuren. Vuuren’s odyssey began under the title “Outside In.” Looking for the most effective way to show off the marvelous photographs taken by Cassini, he made three short films that he has never shown. Not knowing how to do that, it took some time for the local filmmaker to figure it out. After a chance encounter in Las Vegas with James Hyder, from the LF Examiner, Van Vuuren was convinced that an IMAX project could be done. Then, he set off to compile the footage in his basement in his home in Greensboro. By using innovative ways of manipulating the photographs, he avoided the aid of computer-generated imagery. In the course of screening the footage to the IMAX industry, he received less than stellar feedback over the title “Outside In,” and therefore changed it accordingly to widen its appeal. Submitting one minute of the footage online, along with “Adagio for Strings” accompanying it, he says it went viral. The feedback of the footage along with the music had moved an overwhelming amount of people. Of course van Vuuren was thrilled to reach an audience, but now came the legal particulars of how to use “Adagio” since it was not a member of the public domain. 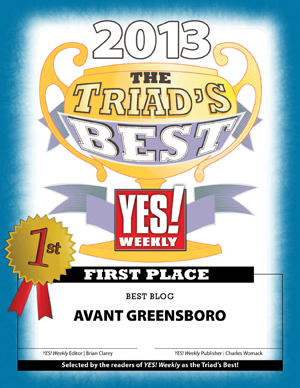 Enter Dmitry Sitkovetsky, Music Director and Conductor of the Greensboro Symphony Orchestra, who just happens to have played “Adagio for Strings” for the man who composed it, Samuel Barber. “It is a match made in Heaven,” says Mr. van Vuuren. Premiering at the Westover Church seems to be the perfect venue. It has a seating capacity of 3200 and is located 100 yards from Vuuren’s own basement where he created the project. To do the recording properly, it would call for each individual musician to be recorded on an individual track. Westover talked to MIDAS, a UK company who specializes in audio mixing consoles, and they are donating a 96 multi-track performance console. It will work in conjunction with the existing MIDAS console that Westover currently has. This has made a huge difference financially, shaving the costs of recording considerably. BIG & Digital are the distributors who expect to bring this exciting movie to giant screens in early 2014. I asked van Vuuren why he thought the public lacked interest over such universally amazing events. Providing a first-person perspective he hopes to immerse the viewer in the images by giving them the impression that they are actually there. Also, the choice of traditional music over electronic, he believes will create a deeper emotional attachment between the viewer and the screen. 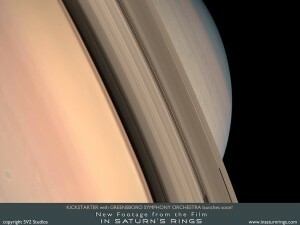 You can follow Stephen’s project at insaturnsrings.com. Log in | 42 queries. 0.521 seconds.